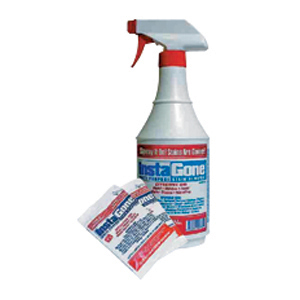 Instagone Multi Purpose Stain Remover is effective on mold, water stains, mildew, nicotine, soot & more. It can be sprayed, brushed or rolled; there is no rubbing or wiping required. Works on rough surfaces like popcorn ceilings, acoustical ceiling tiles, plaster, stucco, stone & much more.